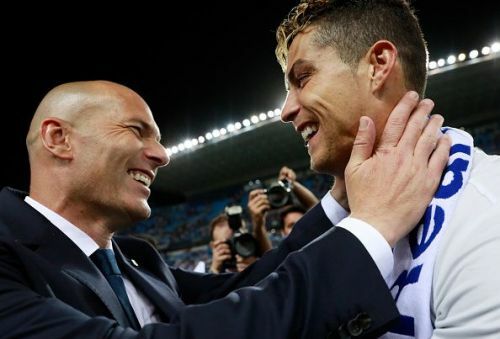 Zinedine Zidane made a surprise return to Real Madrid on Monday as the 46-year-old was re-appointed as manager of the club less than a year after leaving the European champions. The Frenchman departed the Santiago Bernabeu after leading the club to a third consecutive Champions League title last May. Los Blancos then saw a second exit when Cristiano Ronaldo left for Serie A giants Juventus not long after. Zidane was once again brought in with the hopes of reviving the squad that has been struggling since the two key departures. His replacement, Julen Lopetegui, was sacked not long after his appointment, following disillusionment that escalated after a humiliating Clasico defeat to Barcelona. Santiago Solari replaced him as interim manager only to show limited improvement before going on a downward spiral. Under the Argentine, the club crashed out of the Copa del Rey and the Champions League while also ending their hopes for a domestic title this season. "I'm feeling good and am happy to be back. I'm delighted to be back working at this great club and with this squad of players. When the president called me, the first thing that I thought about was coming back and here I am. This is an important day and I'm here because I really love this club". Los Blancos has also failed to fill in the big shoes left by Ronaldo, struggling to find a player who is as efficient as the Portuguese when it comes to goals. The problem is not who is Real Madrid's Manager. They need Ronaldo more than Zinedine Zidane. Now you people will definitely know it was "Ronaldo Madrid" as those while. Ronaldo single handedly wrote the history at Madrid. If it's not CR7, it's not CR7.